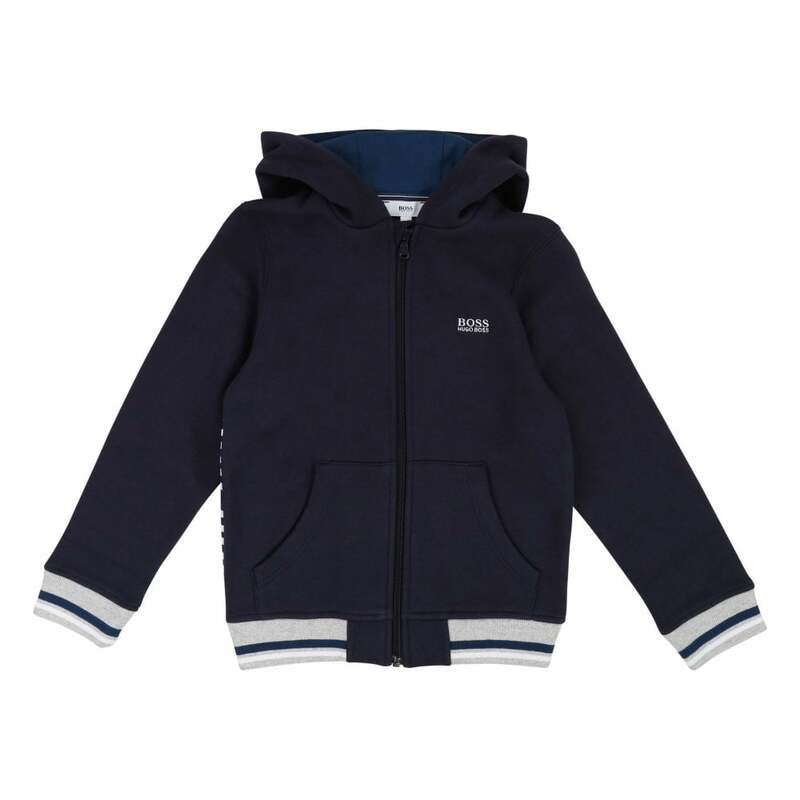 This Boss Hoodie is a soft, fleece-lined cotton and polyester blend and is navy in colour. It has a hood with a contrast blue lining and has long sleeves and open pockets at the front. The hem and cuffs are elasticated and are navy with grey, blue and white stripe detail. Boss branding appears embroidered on the left chest in white and printed along the side seam at the rear.